One of the most exciting parts about a trip to Tasmania is actually getting there - setting sail and crossing the Bass Strait on the Spirit of Tasmania. Our coach goes on board, where our tour gets off and everyone finds their way to their very own cabin. You’ll get to experience all the activities the ship has to offer. The restaurants serve food made from local produce, with several bars on board, two cinemas, a gaming lounge and even a reading room. Having said that, we do sometimes get customers who say they want to come on the tour, but they don’t love the idea of being on the ship. This is no problem. We want to make sure everyone is happy and comfortable - and we don’t want them missing out! So we just book a flight and meet them there, no worries. Our Tantalising Tasmania itinerary has one of the most relaxed schedules of all our tours. The great thing about Tassie is, you can keep a base in one place and still see everything the island has to offer. 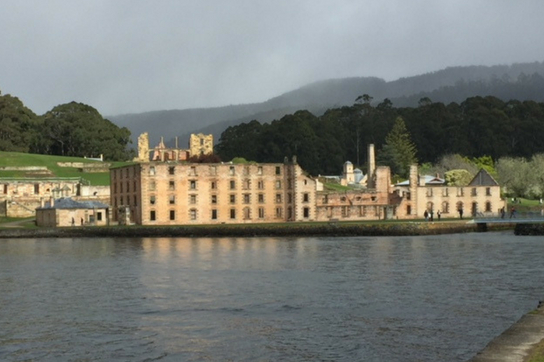 At the beginning of the tour, we stay in Hobart for five nights while each day getting out to places like Port Arthur, the Huon Valley and the historic village of Richmond. We are home by 4pm most afternoons for some sunset beverages, where everyone unwinds and enjoys the serenity. Food and scenery and history - oh my! The food on offer (all over the island, not just in any one place) is sensational. It puts Tassie in our top three food destinations of all time. It’s not just the incredibly fresh produce. It’s part of the culture down there. The place is filled with foodies, who just know how to put ingredients together. One of our highlights is the scallop pies. Yes, that’s right, seafood, in pastry. Many bakeries have curried scallop pies, which are delicious. But some even do mornay scallop pies. These are pretty special and sometimes hard to find, but don’t worry, we know where to get these babies. Then there’s the spectacular landscape. 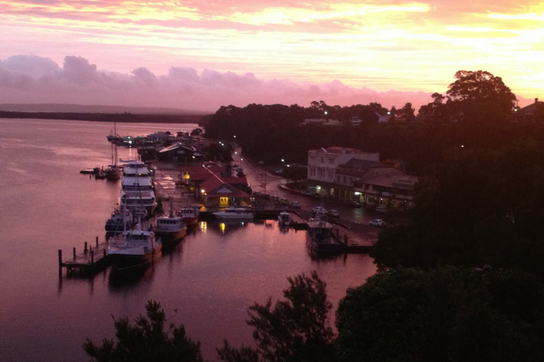 The drive from Hobart to Strahan is one of the most stunning scenic tours you will ever see, with all sorts of terrain. From the Derwent Valley, following the Wild Way through trout lakes, mountains and gorges and the Wild Rivers National Park - you just can’t see this beauty anywhere else. And of course, there is the history. Our tour includes all the essential places you just can’t miss out on, like Port Arthur, and Sarah Island. The remarkable thing about these towns is - yes, it’s their past that has put them on the map - but they are also still thriving, in their own right, doing really well for themselves. We believe we offer a more personalised tour than anyone else. We are happy to go off the beaten track to show our group something different, and we are happy to take a detour if there is something someone wants to do. Some of the favourites are Dr Harry’s Practice, which is in Exedor and we also take a stroll through what was Peter Cundall’s garden in the Royal Botanic Gardens in Hobart - it still remains a thriving veggie patch. We’ve done the tour so many times, we are so relaxed and our guests often pick up on this, it really sets the pace. The banter is flowing, the atmosphere is warm and everyone can feel themselves slow down and de-stress. But the best part - even after all these years, we still see new things every time. There is so much to discover.